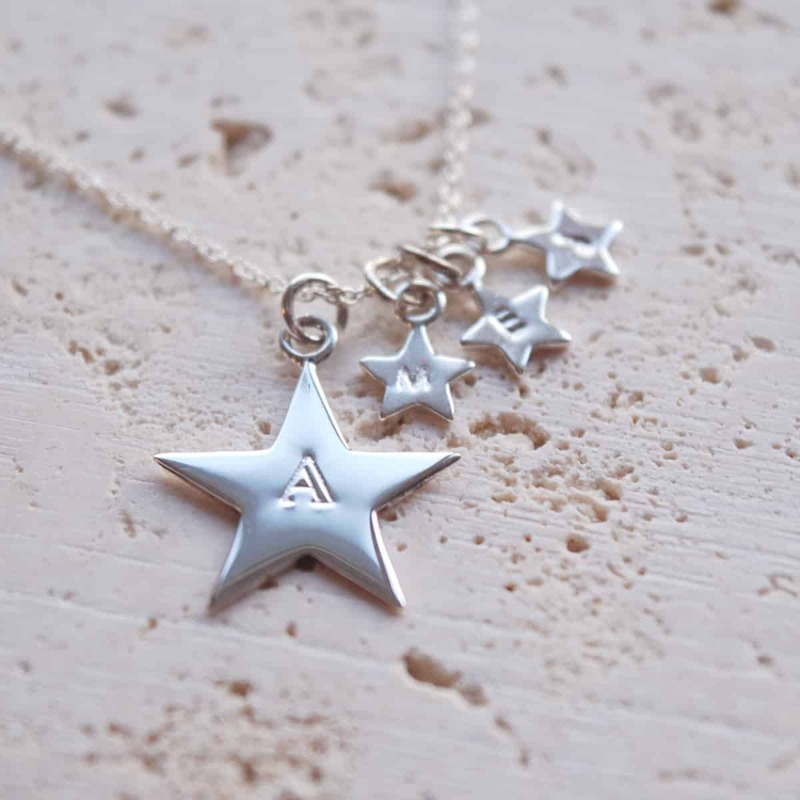 The Personalised Necklaces consist of a 45cm (18 inch) chain and a pendant of your choice. The Personalised Double Strand Bracelets consist of both a pendant, and a 17cm-19cm adjustable double strand nugget bead bracelet. 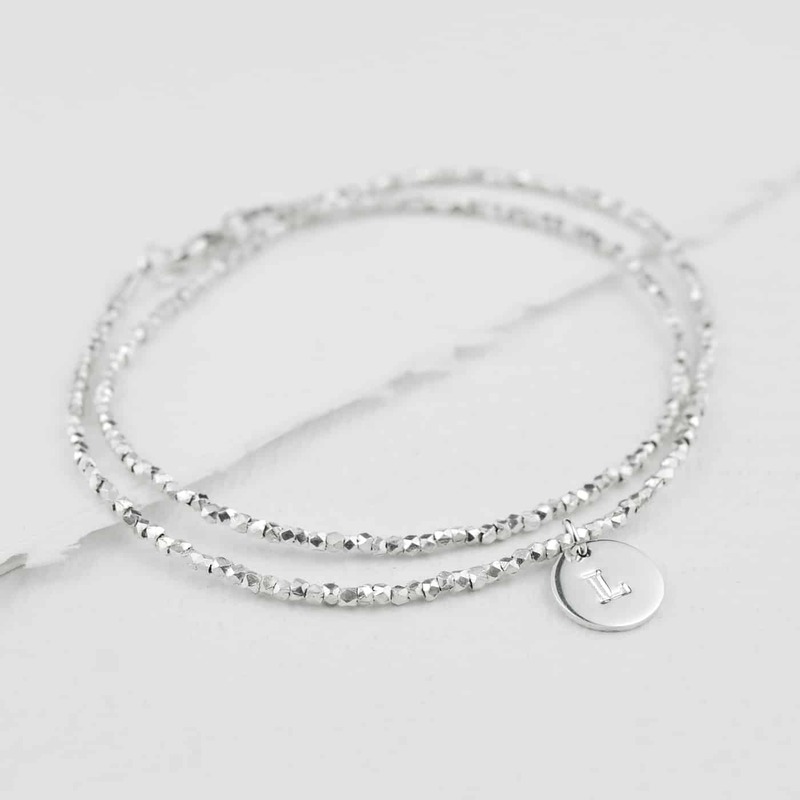 The Personalised Nugget Bracelets consist of both a pendant, and a 17cm-19cm adjustable nugget bead bracelet. 24ct rose gold plated silver. Circle pendant – 10mm x 10mm. Heart pendant – 10mm x 12mm. Of course you can personalise it, and in a couple of different ways too. 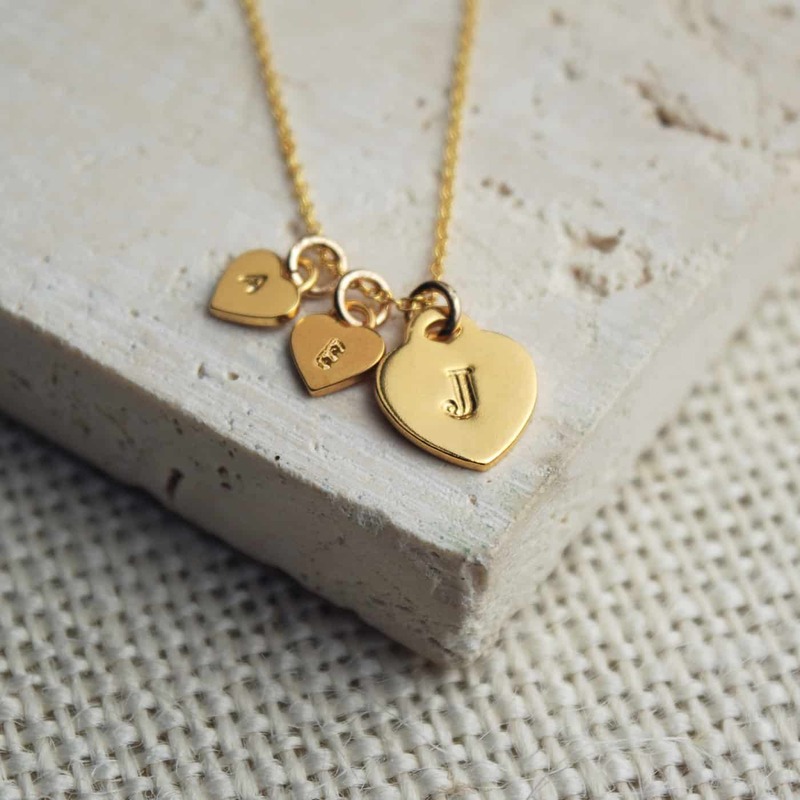 Firstly, you can personalise your piece by adding the hand-stamped initial of the recipient to the pendant. And finally, how much do they cost? With 1 Circle, Star or Heart pendant – €50. Additional Circle pendants – €10 each. 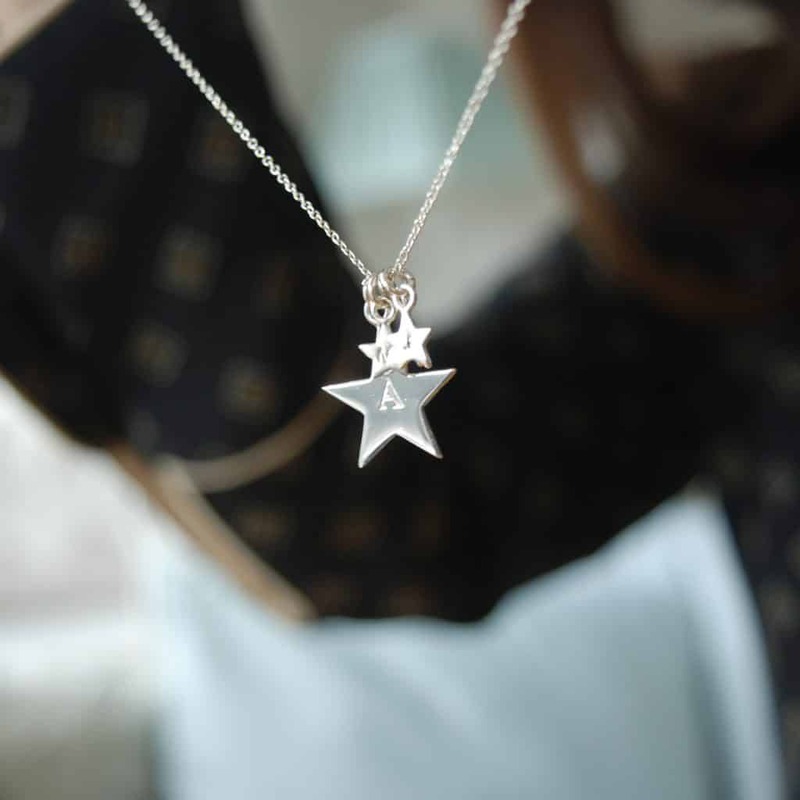 Additional Star or Heart pendants – €5 each. With 1 Circle, Star or Heart pendant – €60. 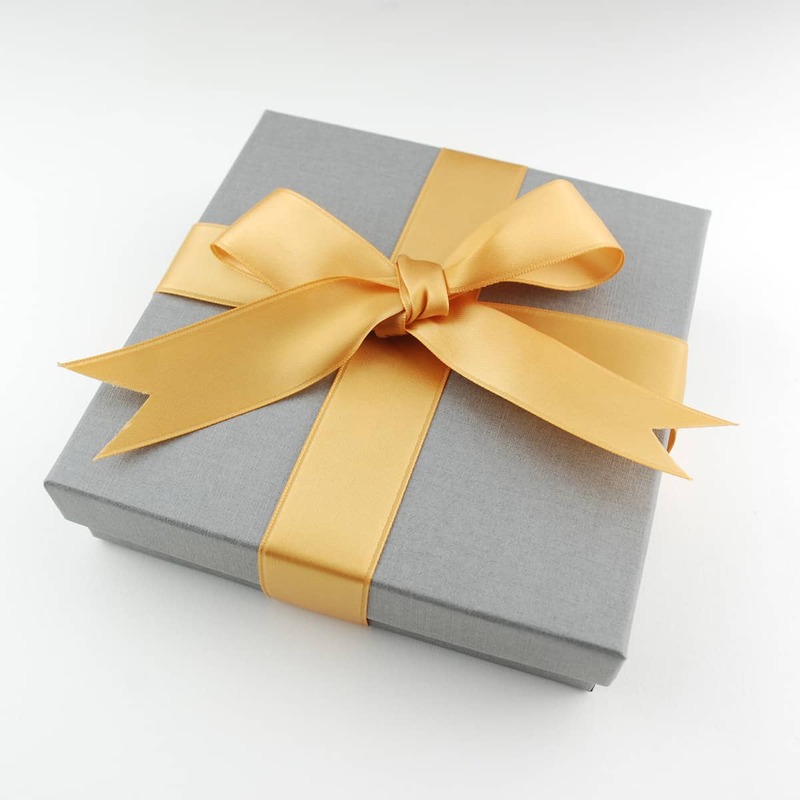 All of our jewellery also comes presented in a gift box, and finished with gold ribbon like below. 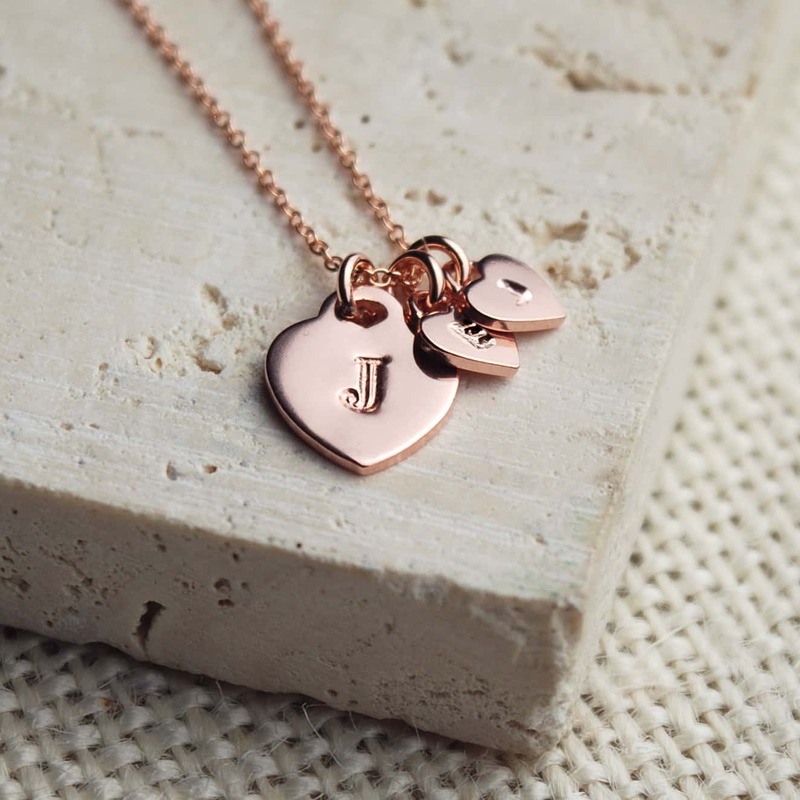 If you wanted to take a closer look and see what one is your favourite, then check out our Personalised Jewellery range here!